Maui has a number of breathtaking hiking trails you will enjoy. Hike a trail that reaches the summit or hike into a gulch with a 400-foot waterfall as your reward. 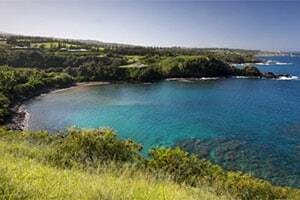 Whether you want a quick morning hike or a full day trek and whether you’re a beginner or an experienced trail blazer, Maui offers a diverse array of trails. 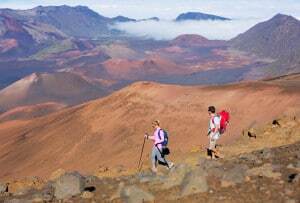 Reaching the summit of the Haleakala volcano is nothing short of a magical experience. There are lots of hikes to explore at the National Park, offering richly unique landscapes with silversword shrubs, native birds, a cloud forest, and a cinder desert. Make your way to East Maui to one of the most popular natural destinations on the island! If you’ve been dreaming of cliff jumping and wading in waterfall pools, then don’t miss the Ohe’o Gulch. 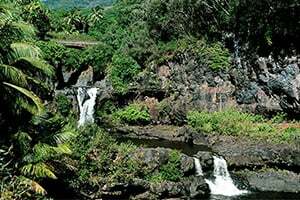 It is a peaceful valley with a rainforest stream—quintessential Maui. This lovely coastal stroll has breathtaking views over rocky terrain and crashing waves. You’ll be able to see Molokai in the distance as you make your way through sandy beaches and lava rock. Parts of the trail are paved, making this a mellow hike close to the resort. 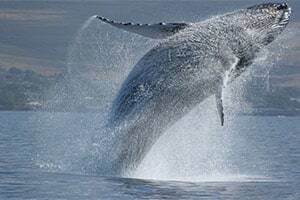 For an amazing experience on the Kaanaapali coast take to Pacific Ocean for a wonderful whale-watching excursion! 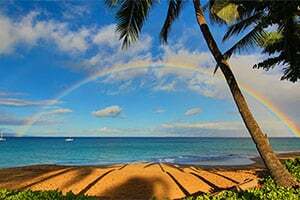 You’re sure to see Humpbacks, snorkel among Maui’s amazing marine life, and even relax with a delicious Mai Tai in hand! Take this self-guided 10-stop walking-trail where you’ll learn about Kaanapali’s interesting past. You’ll be surprised at the unique ancient Hawaiian and agricultural history behind what is now a popular resort town.